Now if there is one thing in this world I really didn't need...was a new eyeshadow palette. It's part of the new Summer collection and is the "5 Couleurs Transat Edition"
I was drawn in initially by "A Model Recommends" blog. She'd bought this palette recently and has a similar colouring to myself so I pretty much knew this was going to suit my eye colour. The orange tones really do make blue eyes stand out. All you blue eyed girls definitely need this little palette in your life! First impressions. 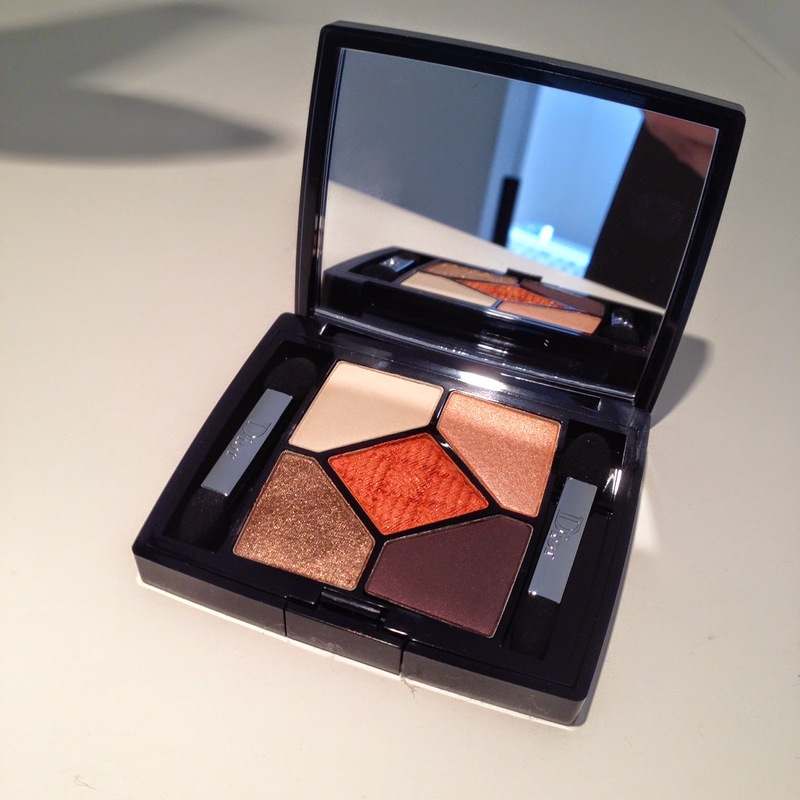 It's a beautiful palette - compact with a very 'luxe' feel to it, as with most items from Dior. The shadows are all very high quality with excellent colour pay-off, blendability (is that even a word? if not, it should be!) and lasting power. The lightest shade is great for subtly highlighting the brow bone or as a base to the other shadows to even things out. Next we have a peachy shade which works great on its own or in the inner corner of the eye to highlight. I love this one, its nothing ground breaking, but it just looks great on the lids. The golden shade is very versatile and is comparable to MAC Patina with perhaps a bit more 'bronziness' to it. It works well as an all over shade or as a contour shade with the peachy one. It also looks nice smudged underneath the lower lash line. The orangey shade in the middle is just divine. Warning to you all, you only need a dab, its really highly pigmented but looks great just popped in the middle of the eyelid after you've put the peach and gold shades on. 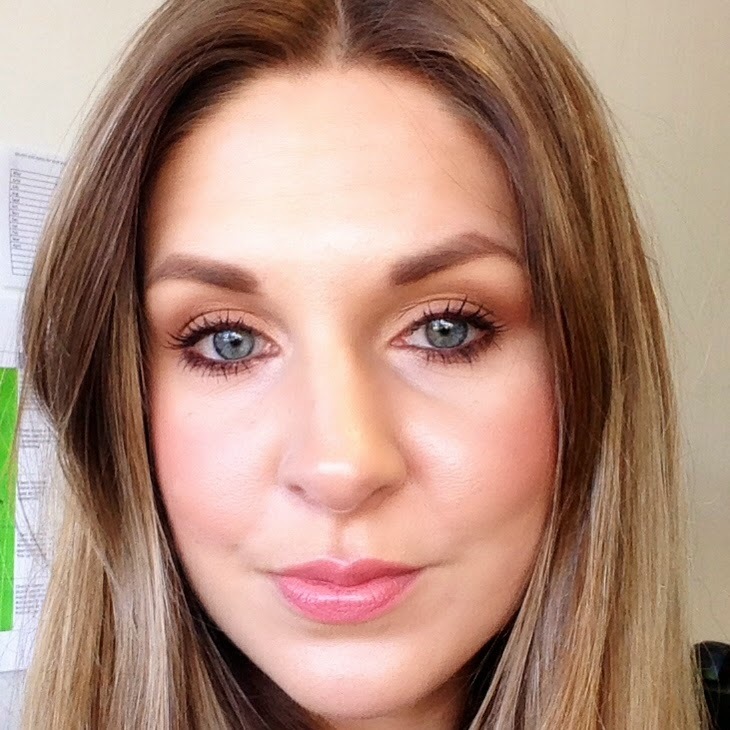 The darkest colour works really well smudged into the upper lash line and doubles as a liner or it can be used to make the whole peachy orangey day look into something a little more evening appropriate. What I really like about this palette is that it's possible to create quite a few different looks from it using different colour combinations. I'm still in an experimental phase with it at the moment but have been wearing it every day since I bought it last week and have to say, I'm very impressed. MAC hasn't had a look in this week! It's a lovely Summer palette that works well with coral cheeks and lips and a bit of the Rimmel Scandaleyes bronze eyeliner. Dior you have impressed me this Summer! Ahhh so pretty! I wish this had been part of the UAE launch but it wasn't :( Have you seen the pre-release pics of the Fall palettes-definitely got my eyes on at least two of those! I love Dior! Oh no :( perhaps you will get it later? I noticed when I was over in Dubai that you don't have the same things over there, I was searching for a Clinique palette that didn't seem to exist in the UAE! Ooooh I haven't seen those yet but I bet they're good, have to say I'm fast becoming a true Dior fan! I want to get some of the goodies you have been recommending lately...I have a long list!